Vanessa's meticulously designed rabbit hutches make for some sweet living for bunnies at Stark Hollow Farm. 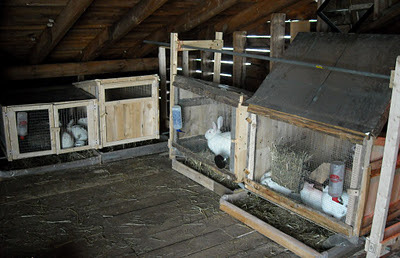 Our forage-based meat rabbits are raised in Vermont on pasture three seasons, but during winter months they have a cozy set up in the barn loft with a view of the snow covered fields of Camel's Hump. These modular rabbit pens provide for easy access for feeding, watering, and cleaning and they offer protection from winter drafts and wetness. 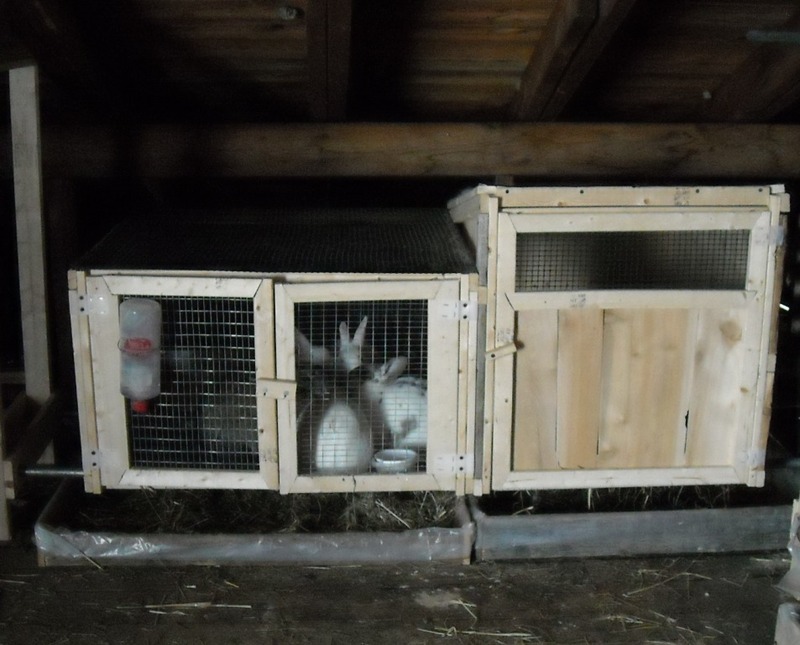 The modular hutch-mobile attaches to either a cage, normally used in winter, or to a run for three season foraging. This allows for maximum flexibility in the structure's use from season to season and including breeding. The trays shown below the cages are for cleaning. Rabbit poop makes great compost. The creative homesteader finds many uses on her farm for items which might normally be thrown away. An old dog bowl makes a great rabbit pellet feeder and an old nursery tray is modified to make a hay feeder. 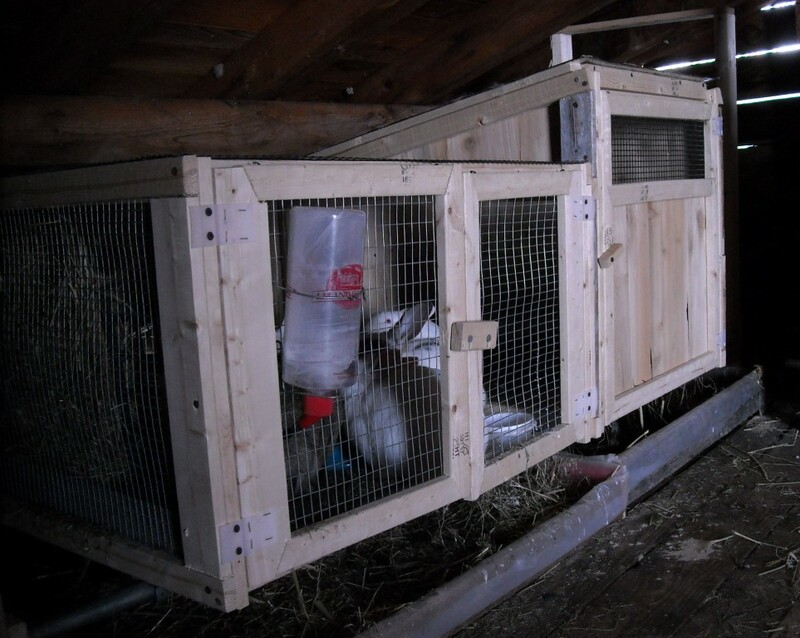 Inquire about purchasing your own live rabbit(s) with one of our custom-made rabbit hutch-mobiles! These rabbits can also make great pets.